JuJu Pumpkins - 1/2 lb. Sour Jelly Pumpkins - 1/2 lb. Pumpkin Spice Malt Balls - 1/2 lb. Candy Corn - 1/2 lb. Roasted & Salted Nuts - 1/2 lb. Mellowcreme Pumpkins - 1/2 lb. 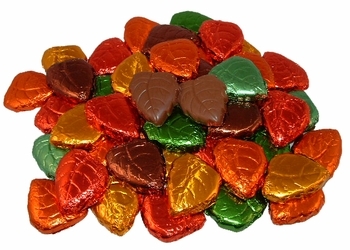 Dark Chocolate Foil Leaves - 1/2 lb.